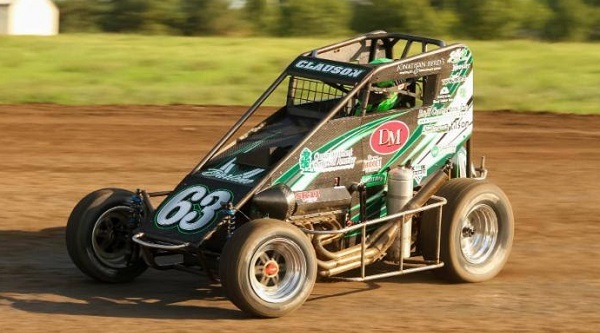 MOORESVILLE, N.C. — Motorsports Madness will offer memories and thoughts on the career and life of the late three-time USAC National Champion Bryan Clauson on a special edition of the two-hour program, tonight at 7 p.m. ET on the Performance Motorsports Network. Race Chaser Online insiders Jacob Seelman, James Pike and Tom Baker will reminisce on the Indiana hotshoe throughout the show, joined by open wheel analyst Joel Sebastianelli and dirt track expert Steven Ovens, as well as Plymouth Speedway announcer Scott Stine, throughout the program. The power trio will also recap the racing results and motorsports news from across the spectrum during the broadcast, including Denny Hamlin’s first-career road course victory at Watkins Glen, Team Penske’s return to form in the NASCAR XFINITY Series, results from the NHRA Mello Yello Drag Racing Series, World of Outlaws and much more. Download the TuneIn App or the Aha Radio App from your phone’s App store (bothorsports Madness returns are free and Performance Motorsports Network is on both apps)! You can also chat with the hosts or leave questions for our guests on Twitter during the show @RaceChaserNews. The show will also be rebroadcast on the Performance Motorsports Network on Wednesdays from 8-10 a.m. Eastern and Friday from 6-8 a.m. Eastern time and uploaded on-demand to the Race Chaser Online YouTube Channel for fans who are not able to listen live. Race Chaser Online is a national motorsports news site dedicated to bringing news, views and interviews from around the globe to race fans of all kinds. Insiders from go-karts and Legends Cars to dirt track racing, IndyCar, Formula 1 and V8 Supercars provide exclusive unique content all week long and news is gathered from across the motorsports landscape. Speed77 Radio is Race Chaser Online’s broadcast division, and together they produce Motorsports Madness on Monday nights at 7 p.m. Eastern and the Stock Car Steel/SRI Motorsports Show on Thursday nights at 7 p.m. Eastern on the Performance Motorsports Network. Turn 5 Live is a New York-based weekly dirt-track affiliate of Race Chaser Online and Speed77 Radio, airing live on Tuesday nights at 7:30 p.m. Eastern on the Performance Motorsports Network. Stock Car Steel and Aluminum / SRI-Performance is located in Mooresville, N.C. They are your best online source for metal and plastics, along with the parts necessary to build your racing machine. They are an official motorsports partner of Race Chaser Online and Speed77 Radio.